RIM is still bathing in the afterglow of yesterday’s Q2 2013 fiscal results not being quite as awful as some had feared. The company remains in the invidious position of having to flog an out-of-date OS (BB7) while it tries to get its next-gen OS, BB10, ready for lift-off at the start of next year. The wait for BB10 devices goes on — but two of RIM’s forthcoming BB10 phones have surfaced online in what appears to be an internal marketing video posted to Vimeo (but since taken down — NB: Slashgear still has the video). 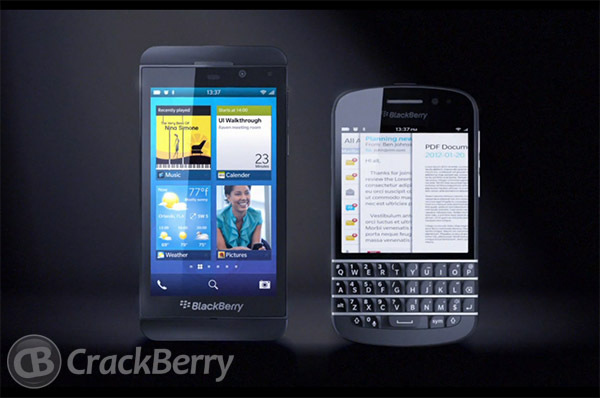 The video was spotted by BlackBerry fan site Crackberry.com which snagged a few screengrabs before the video was taken down. 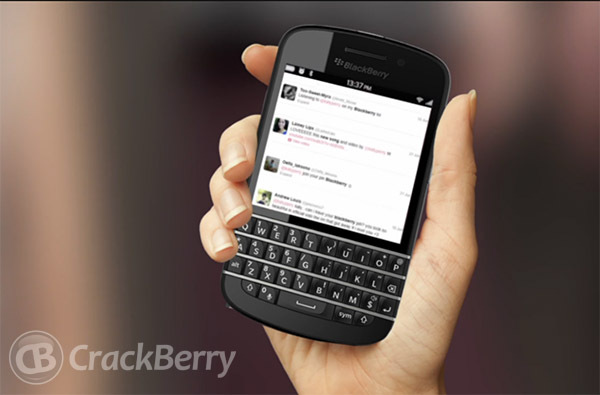 There are two devices depicted: one fully touchscreen BlackBerry (the L series) and one traditional Qwerty-packing option for BlackBerry keyboard fans (the N series). The video doesn’t focus on the specs of the forthcoming phones but discusses how they might be marketed — positing the idea that Lady Gaga could be among a group of celebrities (and ‘non celebrities’) who will be given one of the BB10 devices for 24 hours to use it to create or document something before passing the device on to the next person. “A new track in a single day” in Gaga’s case. 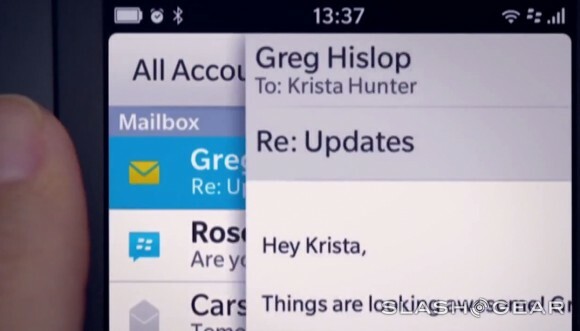 Over the course of its three minutes and 22 seconds, the video shows off various previously demoed BB10 features including a photo editing feature that lets you time-shift your shots to achieve a snap with perfect expressions, and the new predictive typing software keyboard that floats suggested words above keys within the keyboard so they’re easier to tap on.